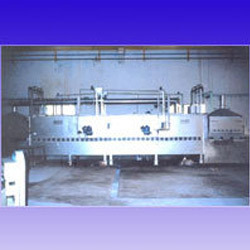 We have made tremendous impact as manufacturer, supplier and exporters of Metal Melting Furnace, Electric Annealing Ovens and host of other related products. Our precision engineered range is in great demand for high quality features. We are an internationally renowned manufacturer, supplier and exporter of comprehensive range of Heat Treatment Equipment such as Industrial Ovens, Furnaces, Rotary Hearth Furnaces, Non-Ferrous Melting and Holding Furnaces, Roller Hearth Furnaces, Belt Conveyor Furnaces, Dryers etc. We offer customization facility.